From his third-floor office at the General Motors Warren Technical Center just outside Detroit, metallurgical engineer Jason Coryell ’04 can clearly envision the automobile of the future. It will be made of a state-of-the-art material strong enough to protect drivers through even the most serious of rollovers, yet light enough to slash car weights and double fuel efficiency. It will be easily weldable into dent-resistant panels. It will be recyclable. And, it will be cheap enough that cars made of it remain affordable. Graduate student Blake Whitley prepares a Gleeble thermomechanical rolling simulation in Mines’ Advanced Steel Processing and Products Research Center. Coryell is among the dozens of Mines alumni who did their graduate work at the Mines Advanced Steel Processing and Products Research Center (ASPPRC) and have since gone on to use their unique skills to help move the ubiquitous, centuries-old mix of iron and carbon into the modern age. Some are developing wave-resistant steels for offshore oil rig platforms or high-tech alloys able to withstand increased pressure and corrosion inside gas pipelines. Some are working on innovative steels to make lighter, stronger windmill towers and gear boxes. Others are striving to make chainsaw blades used by loggers and firefighters last longer. Then, there is automotive research. With new federal guidelines calling for a fleet-wide fuel efficiency average of 54.5 miles per gallon, up from 25.4 today, by 2025 and new standards that require a car’s roof to withstand three times its weight in a rollover, the push is on to come up with materials that are at once ultra-strong and ultra-light. Mines emeritus professors David Matlock and George Krauss founded the center in 1984, at a time when universities, government research facilities, and corporate research and development (R&D) departments were shifting their focus away from steel toward more exotic materials. Aware of the widening knowledge gap, the National Science Foundation provided Mines with $550,000 in seed money to form a steel center. Once industry players got wind of the idea, they lined up to become sponsors. Today, the center boasts 31 members who pay $67,000 each per year to support graduate research that may someday be of use to their companies. Sponsors include multinational steel makers, like ArcelorMittal (the world’s largest), to energy companies like Chevron, to the center’s newest member, Blount International, which makes farming and logging equipment. Eight Mines faculty lead a team of research assistants, post-docs, and graduate students. In all, more than 200 students have come through the center, and the vast majority now work in steel-related industries. Seated at the interface between producers and end-product-makers, ASPPRC focuses on developing heat treatments, alloying methods, and other processes to alter the microstructure of raw sheet or bar steel to yield specific mechanical properties. “You can’t tell looking at these steels that they all have different recipes or chemical compositions, but they do,” says Speer, seated in an office with displays of gears, cans, and car parts that students have worked on, and even an elegant two-foot-tall steel flower. “Sponsors specify what they need, what problem they are concerned about and we try to help them develop new concepts or understand fundamentals that they don’t have time to address.” But Speer stresses that many sponsor companies have impressive R&D departments of their own. “We would never be so presumptuous as to think they couldn’t survive without us,” he says. In January 2014, Ford rocked the automotive world when it announced that its 2015 Ford F-150 truck body would be made of aluminum, shaving 700 pounds off the vehicle’s weight. “Headlines predicted trouble for the steel industry, which gets about 26 percent of its business from auto-related companies,”according to the American Iron and Steel Institute. But switching cars to aluminum, carbon fiber, or other lightweight materials isn’t so simple, explains Coryell. With lighter weight often comes less strength, which can compromise safety. Aluminum is significantly more expensive than steel. And if cars were re-engineered to be made from a different material, assembly lines, body shops, and even paints, all of which have been designed around steel cars for decades, would have to change, too. Yes, Coryell says, some premium vehicles will inevitably switch some of their parts to other materials, but for the everyday car, it makes more sense to stick with steel and try to make it better. That’s where the ASPPRC comes in. “Higher-strength, higher-ductility steels are consistently being developed, and a lot of that work is being done at Mines,” says Coryell. One notable example is a process called quenching and partitioning (Q and P), which Speer developed with the help of ASPPRC alumnus Amy Clarke ’06 more than a decade ago. In pursuit of her PhD, Clarke spent four years hunkered down in a lab developing and testing the complex, multi-step process. It starts with basic sheet steel and then uses carefully timed temperature changes to create a new material with a unique mixture of austenite and martensite (microstructures produced at different phases of heating and cooling). The result: steel that is both strong (making it more crash-resistant) and ductile. “If we can make a strong steel with good ductility we can use thinner sheets,” Clarke says. “By doing that, we reduce weight and can improve fuel economy.” In fact, some estimates indicate that high-strength advanced steels made with Q and P could reduce vehicle weight by 20 percent (even more than the 15 percent achieved by switching to an aluminum body). Numerous companies around the globe, including China’s Baosteel (another ASPPRC member), are now exploring how Q and P can improve their products. Meanwhile, Clarke has taken the skills she learned at the ASPPRC and put them to work as a scientist at Los Alamos National Laboratory, where she is now working on novel steel microstructures for energy and defense applications. She continues to team up with Speer and other ASPPRC alumni. “I see them at conferences and we collaborate on different projects. The network built by the sustained activities of the ASPPRC is really amazing,” she says. 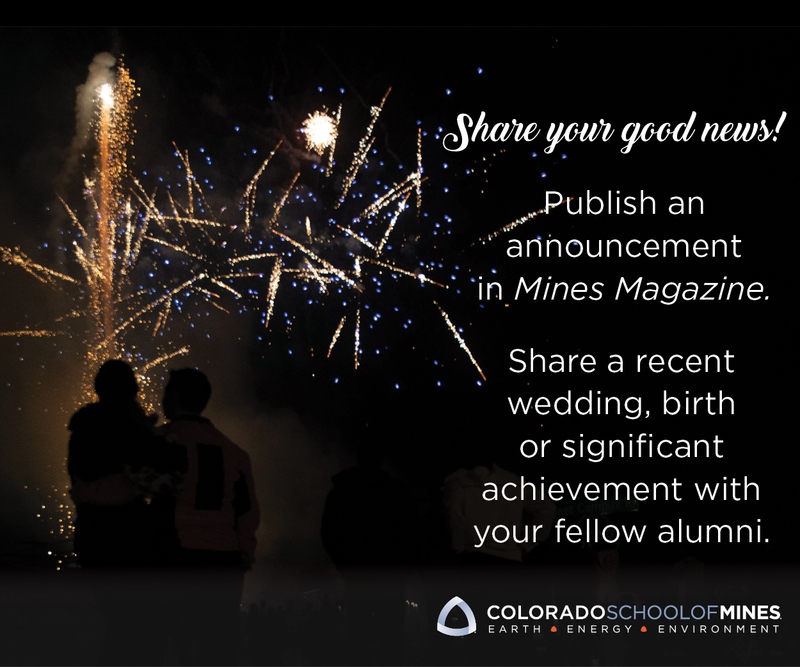 Steve Coryell ’10, Jason’s younger brother, arrived at Mines in 2008, lured by recommendations from both his older brother and his father, a retired metallurgist from American Axle Manufacturing and long-time sponsor of the center. “We view that as quite an endorsement, when a sponsor representative sends us their children,” says Speer. Steve Coryell already had an undergraduate degree in materials science from University of Michigan, but he wanted a graduate degree that gave him a sharper focus on metallurgy. “Mines is one of the very few schools left in the nation that has a program intensely focused on metallurgy,” he says. He also liked the idea of working on industry-sponsored research, rather than government-sponsored research, which can sometimes be more theoretical. At the center, you have an opportunity to work on research that solves real industrial problems of today on technology that you may actually see on the road or in the air, and in the not-too-distant future. Today, Steve Coryell works for West Virginia-based Precision Castparts Corporation (the same company that sponsored his graduate research project at ASPPRC) developing special nickel, cobalt, and titanium alloys that pick up where steel leaves off in the energy and aerospace fields. “There is plenty of research being done to try to push the upper boundaries, in terms of pressure and temperature, of what steel can do, but there comes a point where you just cannot get away with using steel. That’s where we come in,” he says. For instance, the high pressure, high temperature, high-sulfur environment in an oil well several miles beneath the ocean floor might require alternative alloys less vulnerable to corrosion. So might geothermal piping, which is exposed to high salinity, or a commercial jet engine turbine, which is subjected to scorching temperatures with crushing pressure. Steve Coryell says he uses the microstructure database and computational models he developed for his Mines thesis years ago, almost daily at his work today. He’s now paying it forward, serving as a sponsor representative to the steel center and regularly hiring interns and staffers from the ASPPRC. “It is an absolutely excellent graduate program. We are very actively hiring out of Mines,” he says. McNaughton, who worked with the center as an undergraduate, reached out this year with the offer of sponsorship and the hope that Mines students could someday help Blount develop industrial chainsaw blades that last longer and cut through iron, concrete, and wood more efficiently. The deal was sealed on July 1, and one month later a graduate student was assigned to work with her on the project.